POSTED BY ADMIN ON 25-Jan-2019. A lot of speculation and misinformation regarding SEO is spread all across social media. It might seem that today everyone is an expert when it comes to search engine optimization. However, if you own a website, you will need more and more people to visit the site on a regular basis. 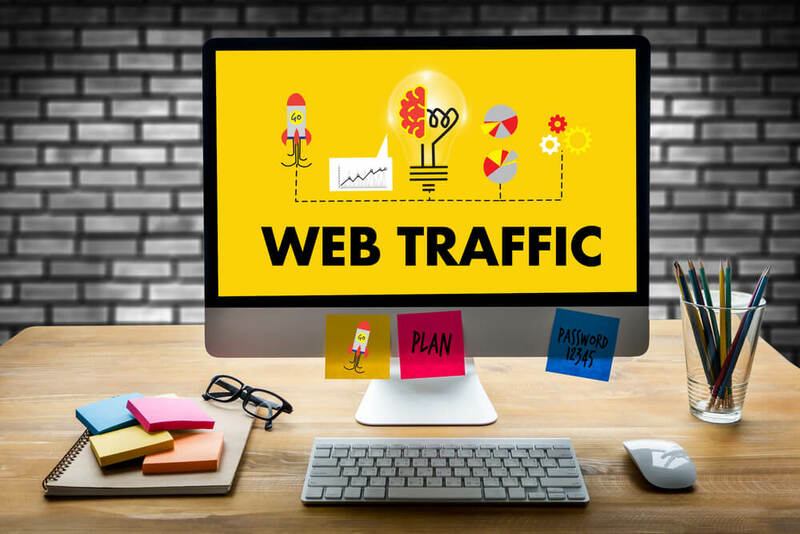 The traffic of a website will undoubtedly reflect on how a business is doing. It also indicates the behavior of a customer; this is going to help business owners to formulate a perfect marketing strategy which will enable you to get better ranking in SEO. The concept behind search engine optimization is to drive traffic towards your website. But, the number of websites across the world is rapidly increasing. So, how do you make sure that your website has an impressive ranking in the results? We have accumulated the SEO tips you need to learn how to drive traffic to your site. How to drive traffic to your blog or website? At least half the population makes use of keywords when they search for something online. This comprises of a minimum of four words or even more. So, you have to understand that just using a keyword is not essential, but you also need keywords with long tails. It should be highly specific to what one is searching online and to your content. When you are using broad or lengthy keywords, you have to understand that your keyword must be unique and should help you stand out from the rest. What is the importance of long tails keywords? It is significant that websites use long tails keywords so that the target audience can quickly get what they are searching for. The world we live in is extremely competitive and is becoming more with the passage of every single day. Several people are spending their time writing on the exact topic. So, what is it that you should do differently to get more traffic to your blog? Don't you want to be on the top of the search? Of course, you do. In order to enjoy that you have to post a well-researched and highly creative content. The content that you post on your website or the blog that you write should be free from any internal competition, i.e. it should be highly diverse. You must organize your blog in a manner that when someone searches for a particular information everything related to it is available to you. Another thing that you have to keep in mind is the need to update content or information on your website on a regular basis. Search engines look for regular updates from the sites to offer better results to the users. When you write exceptional content for your website, it will immediately help to improve the flow of traffic to your blog and will affect the search engine optimization positively. A book without a catchy title will not attract users. The same applies for online content. The title tags serve a similar purpose to that of a book title. This is the link that will appear on the page of the search engine. An ideal title shouldn't be more than sixty characters. As for meta description, it seems right under the title of the content on the search engine results page. The meta description will give your audience a better understanding of what the whole content is about. It is a glimpse of the article in a few memorable lines. Your web pages need a splash of life and images will do that for you. It will spice up your content and not feel too dull. If you seek better results from your search engine listings, then make the most of the images. You need to add more titles, alt tags, and descriptions. It is going to be very beneficial. A search doesn't have the potential to identify the image that is present on your website. You have to add relevant text with the image to help your page. You must always use good quality and optimally sized images for this purpose. You have to create content for your website or blog that Google or other search engines won't be able to overlook. These were some of the first yet crucial SEO tips that you need to keep in mind. Another way to stay in the top of the game is by allowing www.InVideo.io to create personalized videos for your website.